Greetings from PMI Pune-Deccan India Chapter! PMI Pune-Deccan India Chapter successfully hosted the Project Management Regional Conference for the second time. 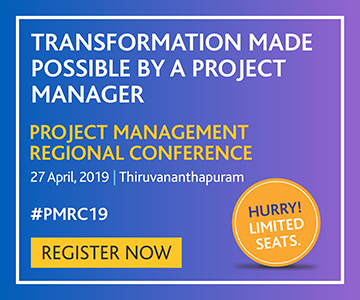 The organizing committee, our volunteer teams, and the PMI India team worked very hard to offer one of the best possible conferences on project management. 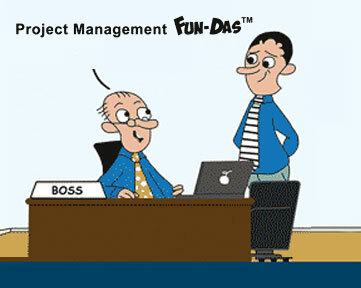 We wanted to project the conference as a project management utsav (fair). True to the vision and theme of the conference, “Achieving Business Transformation through Project Management,” all speakers, activity corners, and volunteers helped us to make it possible. 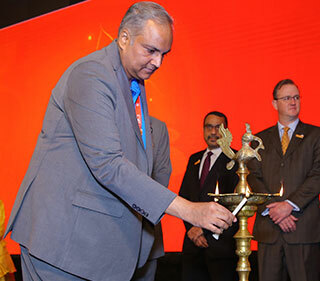 The conference lived up to the expectations of the 420-plus delegates who attended it from all over India. Our chapter has always been at the forefront of innovation and has been introducing more contemporary delegate experiences. Further to the successful introduction of the “agile corner” at the 2016 Project Management National Conference, we introduced three more activity corners in this conference. This conference had some excellent keynote speakers such as Anand Kumar who introduced the Super 30 Programme, and Suresh Naik, former project director of the Indian Space Research Organisation, besides speakers from diverse industry segments. As a member of the organizing committee, it gives me a lot of satisfaction to receive motivating feedback from our speakers and delegates. 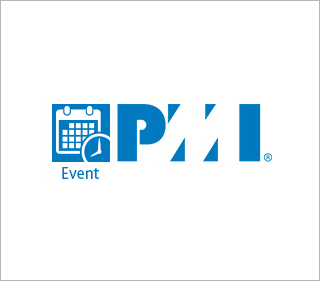 Overall, we have set a new benchmark for PMI conferences. 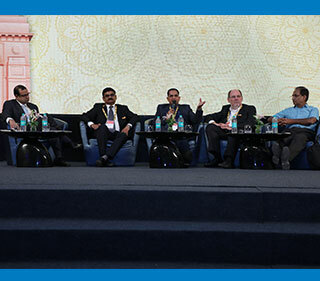 We will be looking forward to taking a much more significant challenge in hosting another conference for PMI. When the regional conference came to PMI Pune-Deccan India Chapter again after three years, we took it as a challenge to make it better than the benchmark we had set in 2015. The 40-member volunteer team was divided into sub-teams, and a project management office was set up to coordinate among the teams, the PMI India team, and other stakeholders. With a vision to provide value for money and time to delegates, we decided to do a single-track event with representation from various industry sectors. We added five activity corners to make this event the project management utsav (fair) of the year. The team hand-picked speakers from diverse industry segments. We had representation from education, travel and logistics, IT, healthcare, consumer packaged good, manufacturing, construction, and space research. Each of the sessions had specific takeaways for the delegates. The panel discussion on “Acquiring and Nurturing Talent for Business Transformation” provided an opportunity to listen to senior HR executives. Stephen Townsend, director of network programs, PMI, spoke about the importance of transformation, while serial entrepreneur Revathi Roy spoke about disrupting through gender-diversity-focused initiatives. Sriram Narayanasami, vice president, commercial, Maersk, provided food for thought on business transformation and exponential growth. The session by P.G. Waray, executive director, engineering and project execution, Thyssenkrupp Industrial Solutions, had interesting learnings from the manufacturing industry. An award-winning case study presentation from Tata Housing provided delegates useful insights on managing challenging projects. 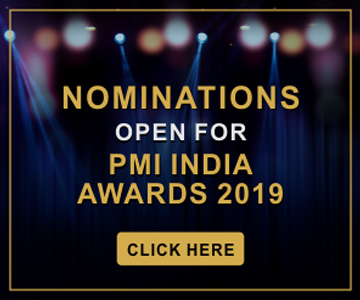 Encouraged by the overwhelming response from the entire community, PMI Pune-Deccan India Chapter is now looking forward to hosting a bigger conference.